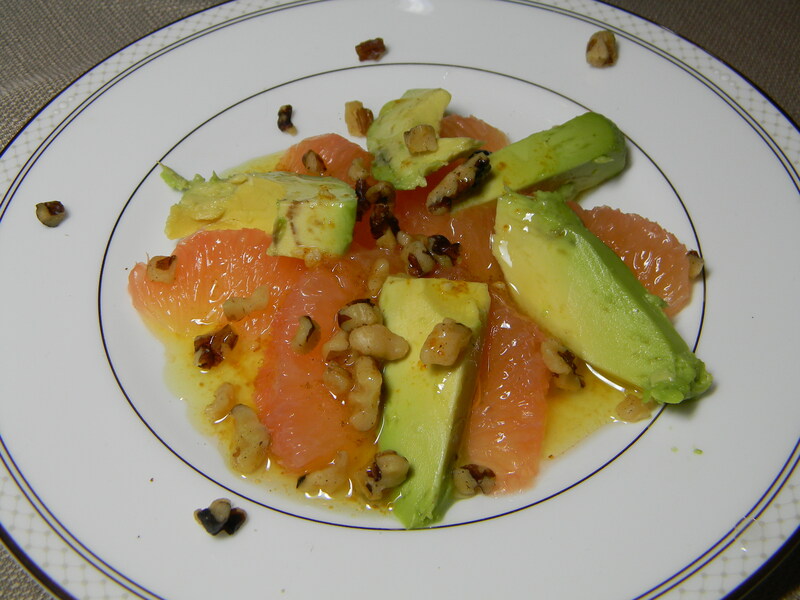 Lay the grapefruit in a sun-shape layer first. 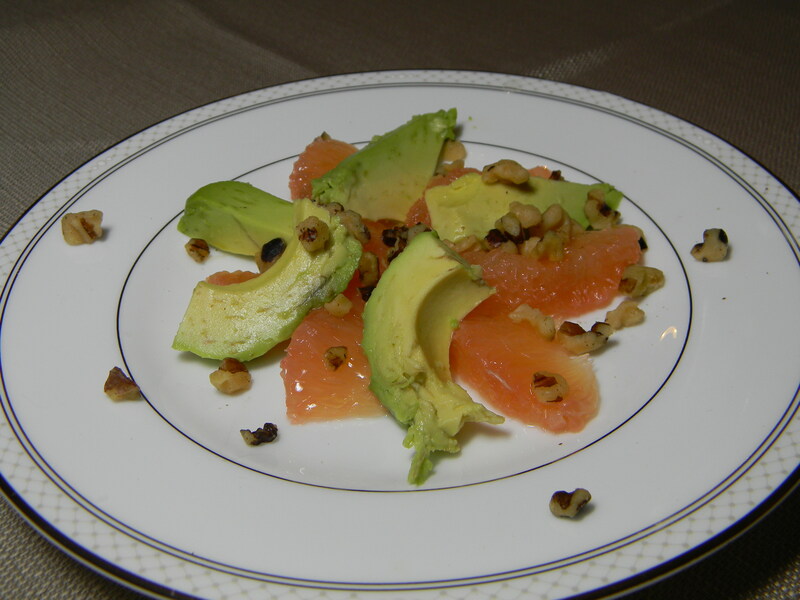 Then add the avocado slices to accent the grapefruit. Finish with walnuts and pomegranate (if using) and serve immediately. Dress at the table with the curry vinaigrette. Preheat the oven to 250 degrees. Pour the curry powder in a small baking dish and shake it out to cover the pan. Place in the oven for about 10-12 minutes, taking it out to toss the spices up 2-3 times. In a small mixing bowl, whisk together the curry powder and the vinegar. Slowly add the oil, whisking as it’s added. Finally, whisk in the garlic glove. Serve before the dressing settles or whisk again right before serving.